Bravecarrot22 wrote: The titan mushi looks great but I feel releasing it so soon after such a large Onell drop might not work out well. Pretty much everyone is broke at this point. Glad you dig the Titan! In hand it is even more monstrous!!! Maybe, maybe not...I release every other month like clockwork. I do presales via a "Beast List" every release (which is public knowledge and I have already presold 50%+ my stock as usual). I have had a December release planned since my last release in Oct. Also, due to Chinese New Year and the factory being closed for almost the entire month of Feb., I had to presell this 12th KM and 1st TM wave in order to place and pay for my order for Feb. Sorry, not much choice if I want a Feb release. Will you be at c2e2 this year? Bravecarrot22 wrote: Will you be at c2e2 this year? As of right now...probably not. Grabbed a standard Titan and a Titan rider last night for my son. He is really excited about a new creature to add to his mushi collection. That $41 price tag for a titan is a wallet killer, though. I would've liked to have bought one for myself as well, but just can't afford that (especially with Xmas this week). Are there any plans for that price to come down in the future, or is that what it's going to be a standard painted Titan? Fuzz wrote: Grabbed a standard Titan and a Titan rider last night for my son. He is really excited about a new creature to add to his mushi collection. I appreciate the support my friend! You and your son won't be disappointed...the $41 price tag was due to all the paint apps and the detail lines (which aren't cheap at all). As you can see with the Instar (solid pearlescent white) $33 was a more normal price tag. The next Titans for Feb (if I sell through my current stock) will be $35 ea. and are loaded with paint, but, no detail lines. The Standard (being the Standard) had to have detail lines to represent the way I see the Titan Mushi all decked out. Ahhh ok. The "Standard" part is what had me a bit confused. So, this standard is technically more like a deluxe figure due to the extensive paint apps? It's Marty's most ideal look for the Kabuto Titan, the colors that come to mind when you say "Kabuto Titan". It's like how Nemo's Factory has it standard literally covered in paint apps. Correct, the most paint I will be putting on any Titan Mushi for a good long while. I have no plans on adding detail lines to anymore Titans in 2016. NoPaintRequired wrote: It's Marty's most ideal look for the Kabuto Titan, the colors that come to mind when you say "Kabuto Titan". Also combined a couple Kabuto Mushi's to make these Insectoid looking Mushi's. I have not seen many (if any) Gobon/Mushi combinations. That's very cool, and very intimidating. That's very cool, and very intimidating. Thanks Cappy! I don't have a lot of similar colors since I'm new to glyos but one color way I do have a lot of is metallic teal. I knew I had to work it into a knew build idea. I couldn't have done most of this without the Argen figure though. He really brought it together. Yeah, you woulnt think It would work but you not only made it work, it's fierce! Nice job Witch! Witchwitchwitch wrote: Also combined a couple Kabuto Mushi's to make these Insectoid looking Mushi's. The Gobon build is a very powerful looking build...but, my favorites are the Insectoid builds for obvious reasons. While waiting for the factory to finish up the vinyl Titan Mushi & ship them to me here are some ultra limited hand flocked Kabuto Mushi. Mark V. will be putting a handful of what was left from MushiCon/MushiFest in Oct. in the store tonight. I got mine, phew, I was sweating that drop, really hoping I'd be able to pick up one of these flocked furies, I got 2! Witchwitchwitch wrote: I got mine, phew, I was sweating that drop, really hoping I'd be able to pick up one of these flocked furies, I got 2! Weren't many and there is only 1 clear yellow pvc w/ long black flock left. Mark V. will be updating the "SOLD OUTS" tomorrow...too late now. There are 7 colorways in the store now with anywhere from 2-11 units left before they are sold out completely. Thanx again to those that scooped up some ultra rare flocked Kabuto Mushi! Mospeada Invid. Came to me when I was playing around with the Big Rig. It's in the same vein as a "Robotech" homages, and while Mospeada was a different season, I feel it translates better. 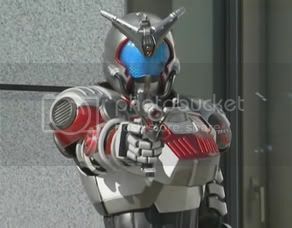 Kamen Rider Kabuto Masked Form. Another Rider homage? Yes, but this one comes with a catch. There would be a Kabuto Mushi MKII in Kamen Rider Kabuto colors, while the Titan is in the Masked Form colors. has anyone ever stated The Big Bad Beetleborgs as an homage? Or is that too obvious? mechanicoid wrote: has anyone ever stated The Big Bad Beetleborgs as an homage? Or is that too obvious? A Gundam homage could be cool. It's colorful and some are insect themed. 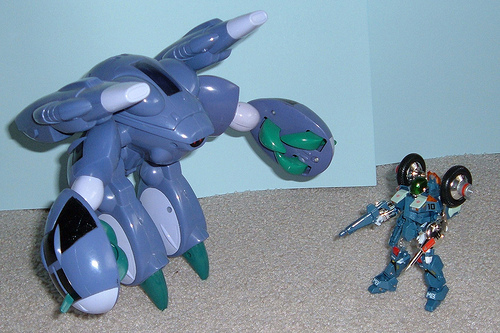 I don't know, I just really want to see a Gundam inspired Glyos figure. Bravecarrot22 wrote: A Gundam homage could be cool. It's colorful and some are insect themed. 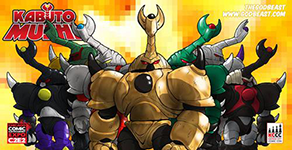 I don't know, I just really want to see a Gundam inspired Glyos figure. white/primary colors mushi would be rad. But yes, having the Inbit (Invid) colors would be fantastic!